Fits most 1-7/8, 2 or 2-5/16 inch couplers. Dual ratcheting shackle accommodates chain or cable for added security. Shackle span width is 4½". 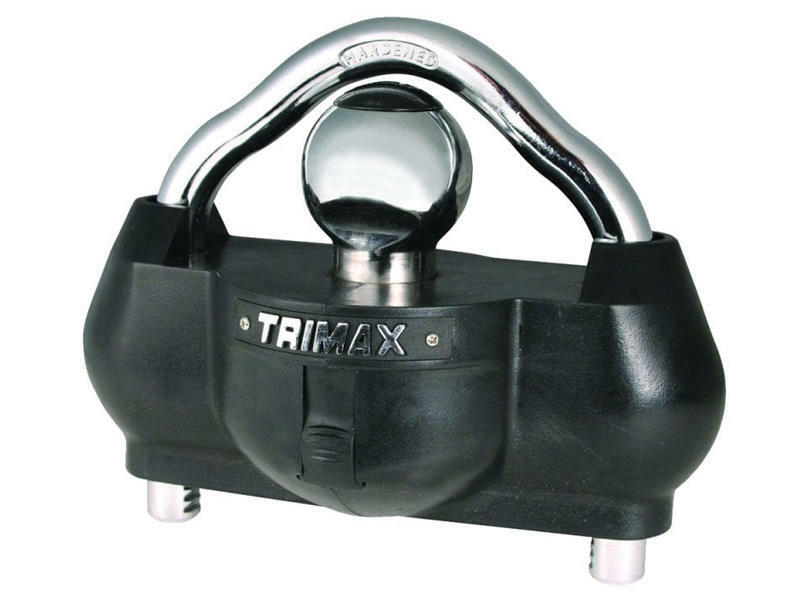 TRIMAX Corporation is the world's leading lock manufacturer providing customers' high quality products through innovative design. A division of Wyers Products Group, TRIMAX produces more than 120 lifetime warranted security products spanning markets such as trailer and towing, power sports, marine, RV and bicycles. TRIMAX is headquartered in Centennial, Colorado and has been in business for more than 20 years. At the forefront of the security industry, TRIMAX stays in tune with market conditions, analyzing the demand for more security and producing products to meet that demand. TRIMAX offers more products keyed alike and cross-keyable products than any other competitor at no charge.